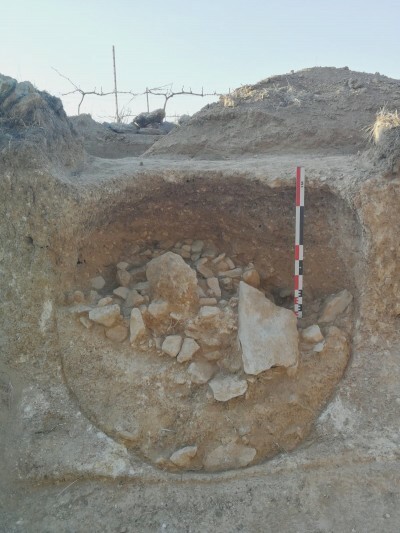 Between February 25 and March 12, the ICAC’s research team on Protohistoric Archeology carried out an excavation and consolidation fieldwork in the archaeological site Mas Cap de Ferro (Nulles, Alt Camp). 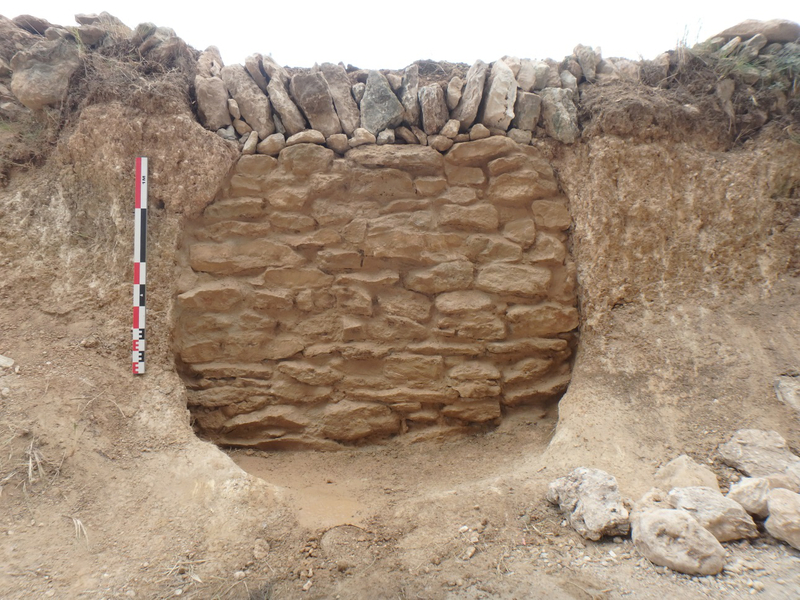 The intervention, which raised when a road’s construction works put into light possible ancient storage structures, confirms the presence of three silos from the late Bronze Age or early Iron Age. The archaeological excavation works on the three structures (one of them nearly destroyed) have made possible their characterization as truncated cone shape silos, with some layers containing hand-made ceramics decorated with ribbons and grooves, and some remains of fauna. The results place the found structures in a chronology (late Bronze Age or early Iron Age) little known in the area because there are few identified sites from this period, a fact that makes the finding a particularly interesting one. The prospection works in the adjacent fields (which involved doing three trenches with excavators) gave negative results, but the researchers do not rule out the presence of more structures in the nearby areas. The archaeological fieldwork included conservation tasks, to guarantee the conservation of the found structures. Those silos in better preservation conditions were consolidated with Stone walls and lime mortar, and filling materials. The intervention is related to the research project “Formas de ocupación del territorio y evolución del poblamiento en la Cessetània occidental durante la protohistoria (2018-2021)” (project code CLT009/18/00095) and its been funded by the Nulles City Council and the Culture Department of the Generalitat de Catalunya (regional Catalan government). 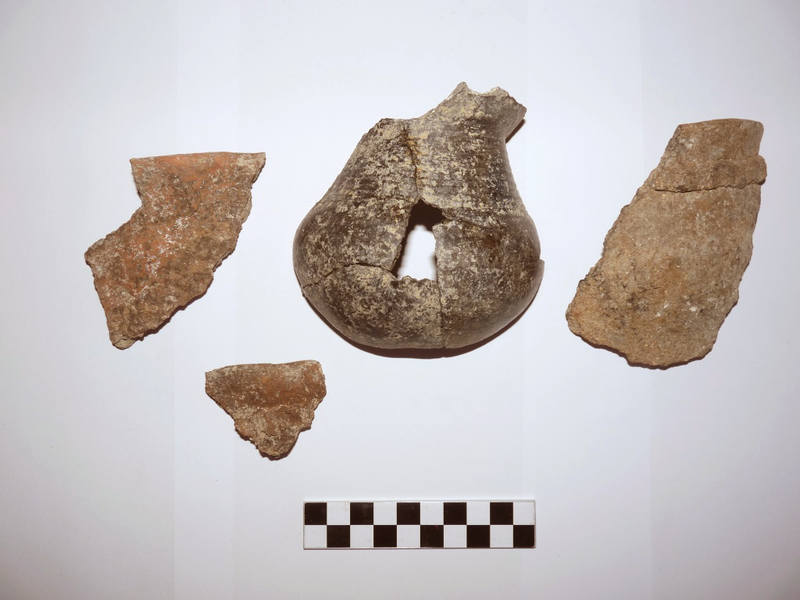 The archaeological excavation and consolidation fieldwork in the site Mas Cap de Ferro has been under the direction of Núria Otero (ICAC), Oriol Cuscó (ICAC) and Graciella Pereda. With the participation of Maria Carme Belarte (ICREA-ICAC), Joan Canela (ICAC) and a team of archaeologists and student volunteers of the Master on Classical Archaeology (URV-UAB-ICAC) and the Degree on History (URV).